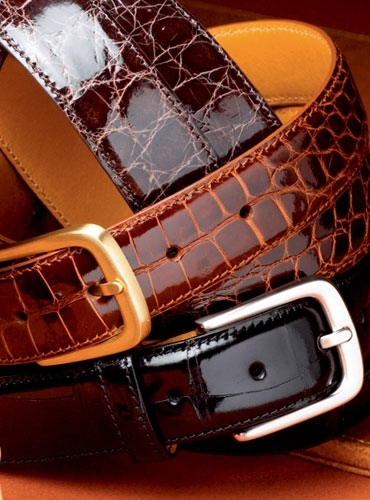 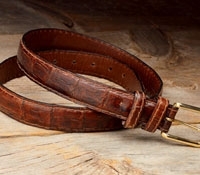 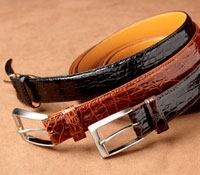 Shiny finish alligator belts, in a dressy 1 1/8" width, have a single belt loop, beautifully feathered edge, with hidden snaps for interchangeable buckles, and a solid brass buckle. 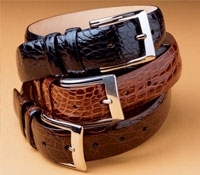 In sizes 32-44. 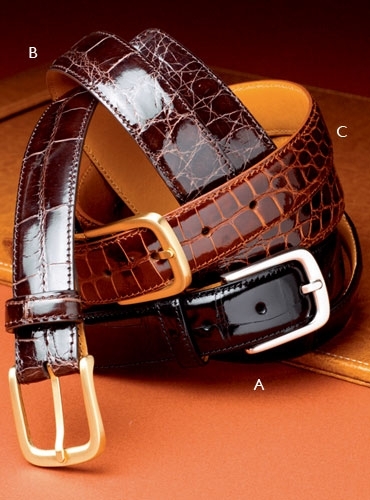 Available in A-black, B-brown, or C-cognac.